While summer is still far, Jordan is already teasing us with some drops particularly with the Air Jordan 11. Snakeskin pattern is back with the upper this time on a light bone shade which needs some more convincing. 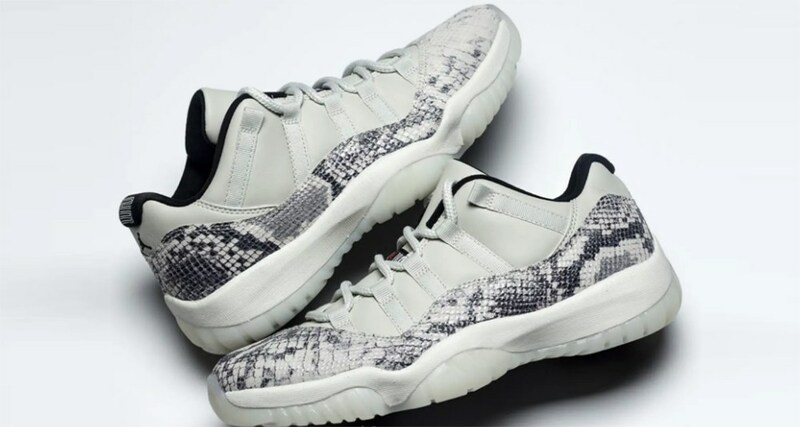 Sure, there are a handful of Air Jordan XI drops in the past and with a lighter shade or color blocking, I do hope they will look better in actual. And while there at it, I hope the snakeskin pattern on the leather would also feel nice in terms of its texture. If that happens, this would be one of those shoes that could bring some heat during those semi-formal gatherings because of its leather build replacing the nylon material and since it is a low, you can easily match them with a good pair of pants. As states this will drop come summertime with a retail price of $185.